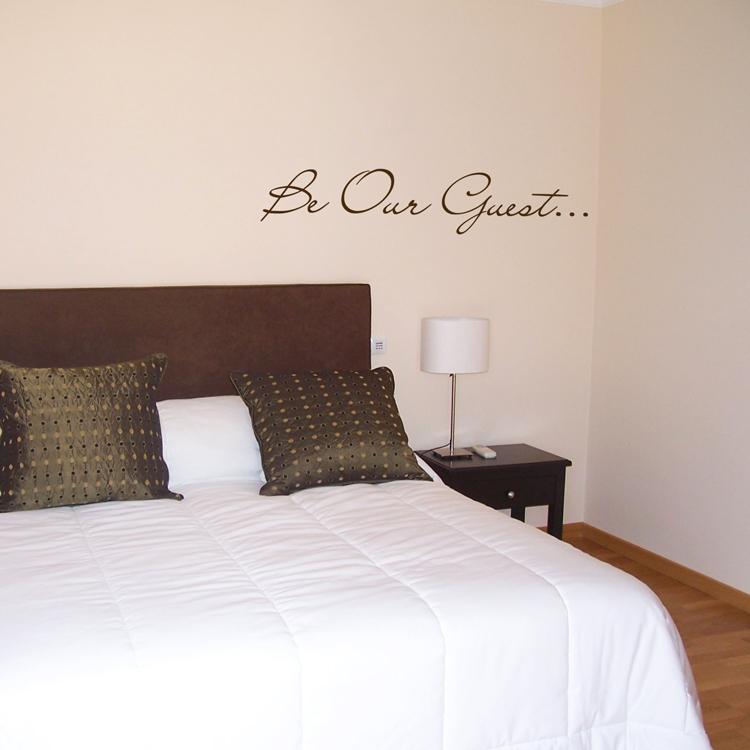 Be Our Guest... such a simple and elegant way to welcome your guests! Make them feel at home and at ease with our simple wall words decal. Did you know? Our wall decals can be applied to any flat, smooth surface, even mirrors and furniture! 42 inches wide by 8 inches high. Also available as "Be My Guest" as well! 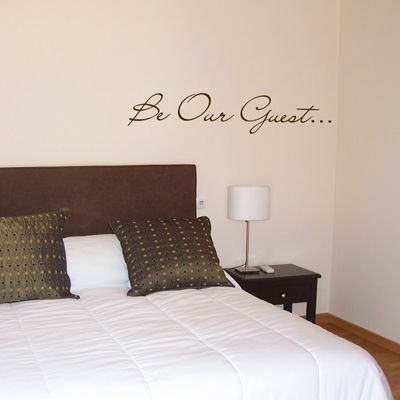 This Be Our Guest wall decal comes in two sections, for easier application! Practice decals are included with every order. The Cherry Blossom Tree decal more than exceeded my expectations. I completed the install by myself, which was only slightly challenging. One suggestion I would make for other people who get this decal is that cutting the sections into smaller sections makes placement both easier and more accurate in terms of alignment. One other suggestion I would make is for people who are considering this decal to examine the layout of the wall they are considering in correlation to any light sources. I did not get the matte color option, so at times there can be a glare on the decal, as it was placed directly across from a window. All in all, my entire experience with Dali was excellent. The delivery was quick and the extra decals that were included went perfectly with the scheme I had planned. I will definitely be using this company again.